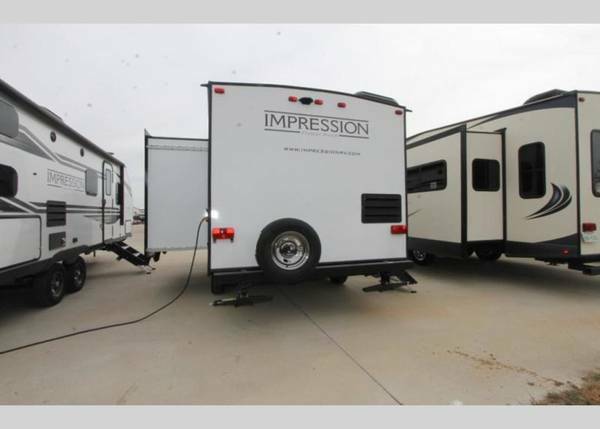 Impression 20RB By Forest River RV. 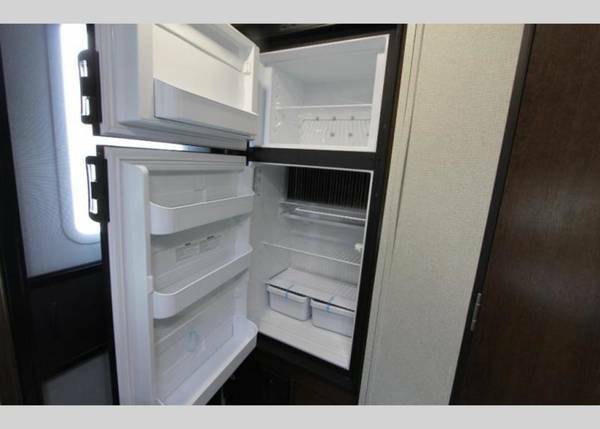 Loaded with options. 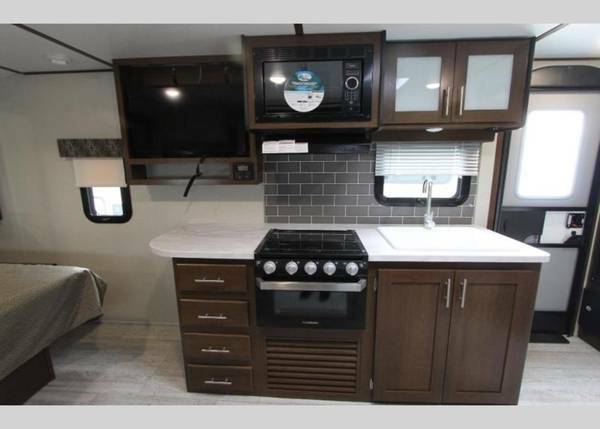 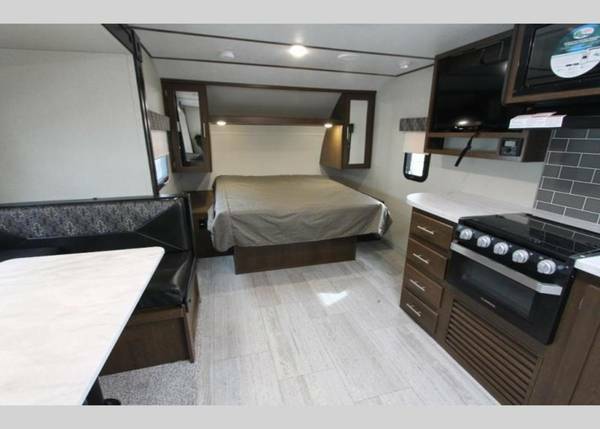 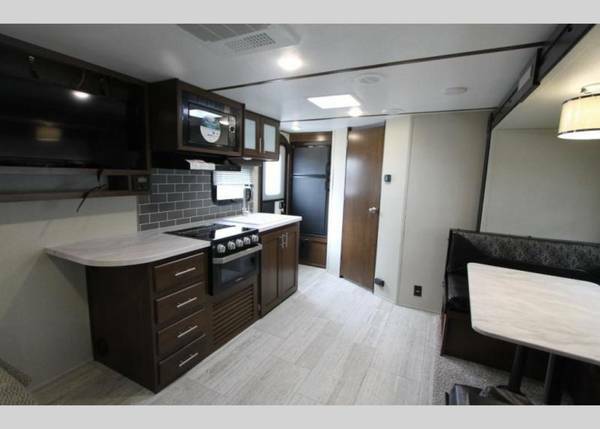 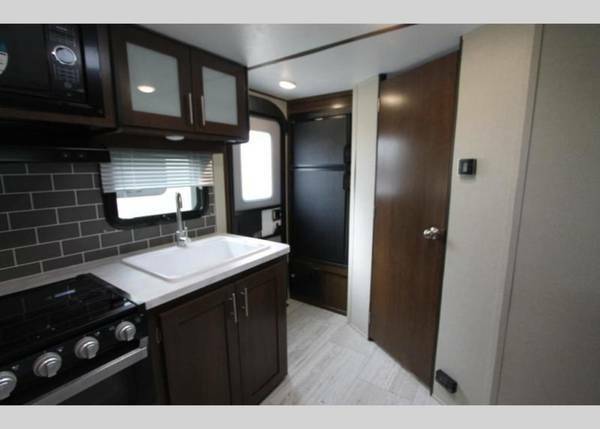 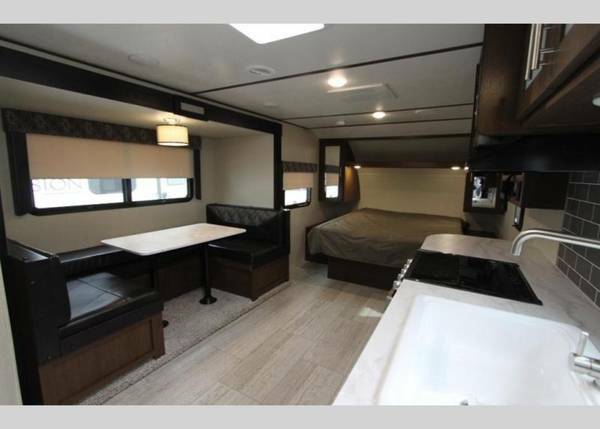 Forest River Impression travel trailer 20RB highlights: Entertainment Center Vinyl Flooring LED Lighting U-Shaped Dinette If you're looking for a low-key travel trailer to go on a weekend getaway with your spouse, then this Forest River Impression 20RB is for you! 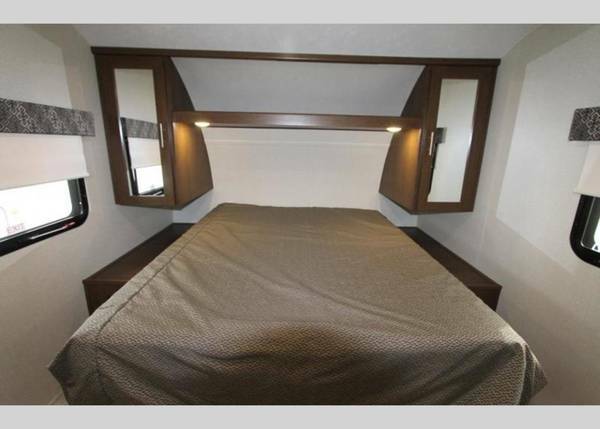 It features a front queen bed with shirt closets and overhead cabinets above to keep your items neat and tidy. 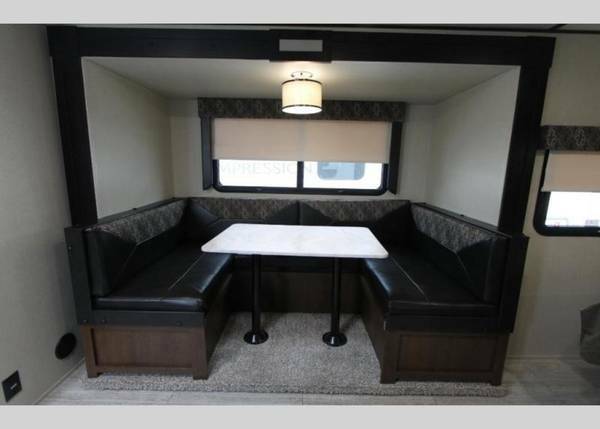 If you need an extra sleeping space, then you can convert the 87" U-shaped dinette after you have enjoyed your delicious meal. 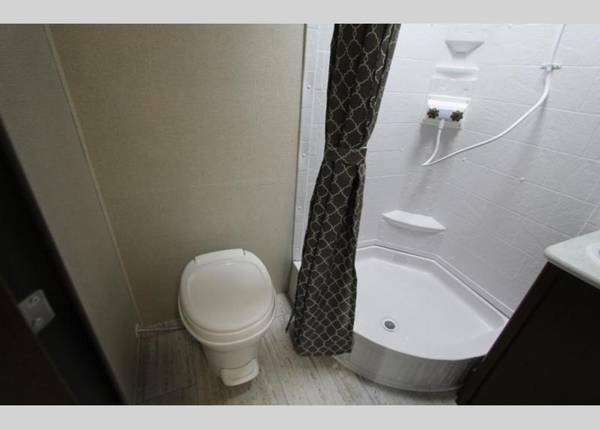 Inside the rear bathroom you will find a radius shower, a toilet, and a vanity sink so that you can look your best everyday. 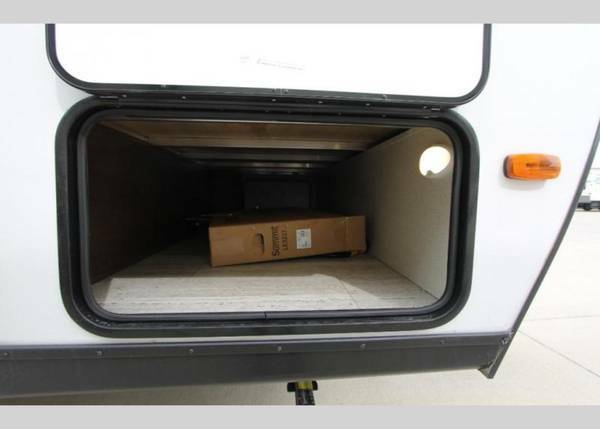 Outside you can breathe in some fresh air without getting a sunburn when you relax underneath the electric awning which also has LED lights, plus there is an exterior pass-through storage for you to keep your outdoor gear! 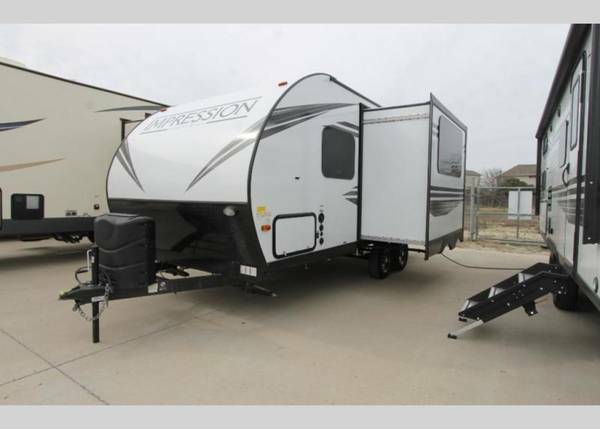 You will find modern styling and a wide open design in each Forest River Impression fifth wheel. 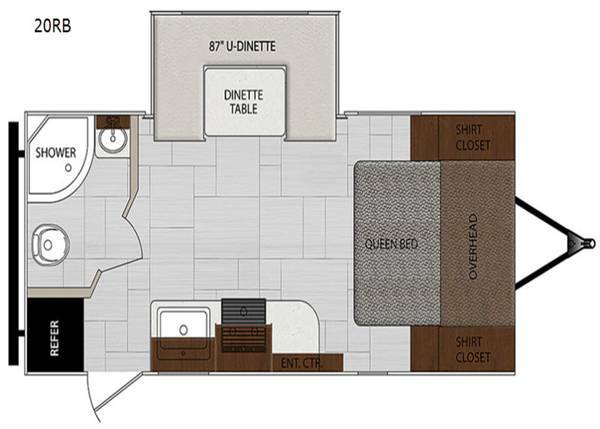 The high-end luxury features inside include residential Shaker style Artisan cabinet doors, solid wood core cabinet frames, premium residential furniture, and a designer headboard for the king size bed in the front flush floor master suite to mention a few highlights. 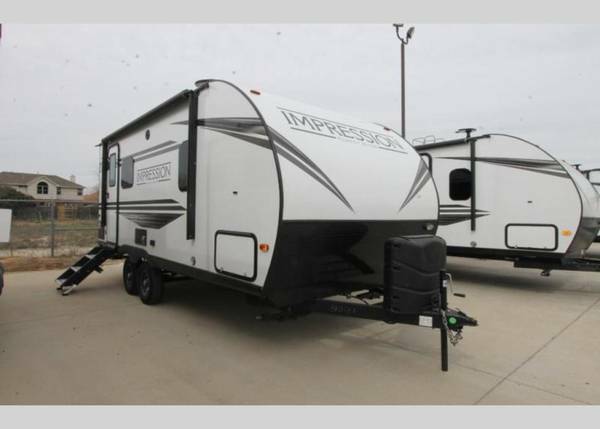 Rest assured the exterior provides years of enjoyment. 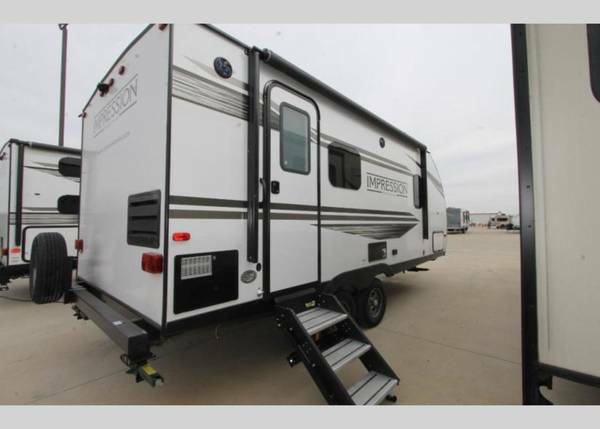 From the Dexter axles with the industry-leading 5 year warranty, energy efficient gel coated fiberglass exterior, solar prep, and backup prep to the free 24/7 roadside assistance for one year after purchase and a free Owner's Group Membership with Forest River, you will love your new fifth wheel. 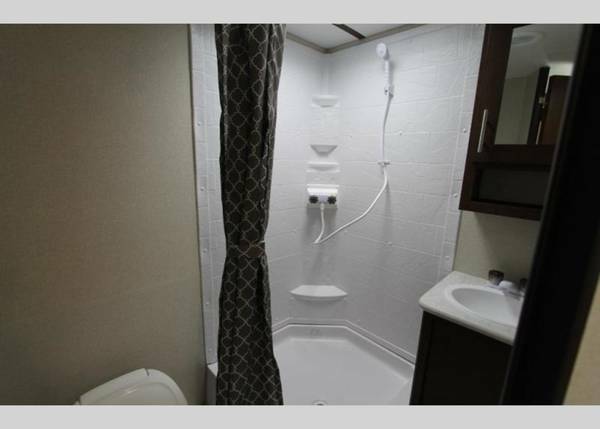 It's time to make your first Impression a lasting impression on everyone that sees you! 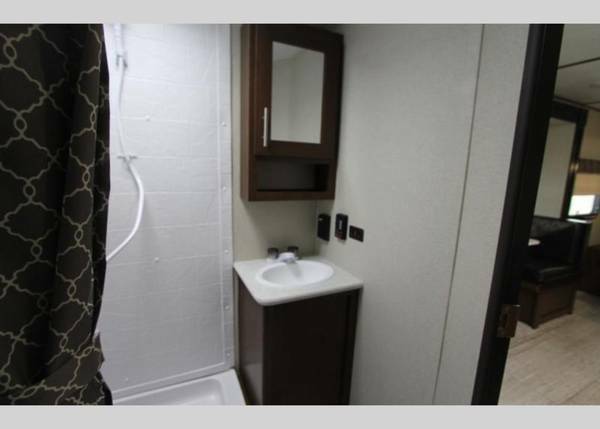 Call 817-969-4290 for all info or more pics.